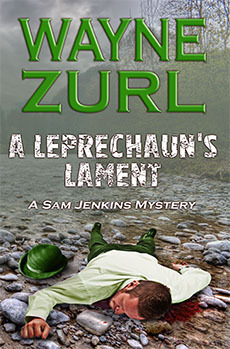 Home » Reviews & Interviews » A new review for A LEPRECHAUN’S LAMENT written on March 25, 2016 for a book originally published on St, Patrick’s Day, 2012. A new review for A LEPRECHAUN’S LAMENT written on March 25, 2016 for a book originally published on St, Patrick’s Day, 2012. All the work, all the typing, all the times when I woke up at 3:45 in the morning thinking of something I should have written or something I absolutely need to add to a chapter, and all the tedious self-editing which causes me to hate the very sight or thought of the novel I just finished and am ready to send off to the publisher, becomes worth all the effort when I get a review written by someone who knows what they’re looking at. New York clothier, Sy Syms, always said, “Give me an educated consumer any time.” Sy meant that a customer with good knowledge of the merchandise would recognize his product as something special. This Amazon customer knows what makes a good book and flatters me with his/her thoughts on A LEPRECHAUN’S LAMENT. Thank you Tracy Shew, whoever you are, for reading my book and taking the time to post this review. The best aspect of this book is the incredible authenticity of police work. Sam Jenkins has a “job,” which in no way resembles what we’ve become accustomed to in the movies and TV. Dirty Harry doesn’t have a “job.” Dirty Harry has a freakin’ big handgun and a tag line. Instead of driving speeding cars through pedestrian-filled streets and blowing bad guys to smithereens, Sam spends most of his time on telephones or pressing palms with loathsome officials like the Mayor, while wondering how late he’s going to have to work and thinking of his next meal and what type of alcohol he’ll have. These details and the glimpses into what “real” police life is like (fueled by Wayne Zurl’s experience as a cop) are remarkably refreshing. If more detective/cop books were like this, I would seek [out] this genre more frequently. The tradeoff is, of course, that some readers might [want to] “GET TO THE CAR CHASES!” But for me, the authenticity is much better. And when the action comes – as you know it will – the stakes and consequences are much, much higher. Parts of the book made me feel as if someone had grabbed and twisted my guts. The reason it all works is because Zurl understands two crucial elements of great novel writing, and excuse me if I get a bit “bookish.” He knows about the “reveal,” which means what information to give the reader, when, and exactly how. This is an absolutely indispensable element for detective genre. And the reveal given here is not arbitrary, which means that information is not held back “just because.” (Think of Dobbie the House Elf in J.K. Rowling: “Mustn’t tell! Mustn’t tell!”) All of the reveals are logical and work within the plot. The other element, related to this, is deep structure, which has to do with the order of events in the plot. Here, too, everything is logical and natural – no arbitrary love interest brought in just because some formula calls for it. The structure, like any detective or mystery novel, works at two levels: What the narrator knows and what the reader knows. At key points, Zurl reveals things to the reader, or at least starts a suspicion, which leads to suspense. The deep structure keeps pages turning in anticipation. A final bookish point of something which shined for me was the simple use of language. There were some witty turns of phrases throughout. Sam, of all the characters, considers his wit to be his charm. Especially in the first half, where the prose is more dialog-driven, this shows splendidly. Later, however, when the mood of the book changes, Zurl shows his muscles in description. The ability to shift prose as gears change shows a rare command of language. In terms of its craft, one of the best books I’ve read in years. For me, a delightful read well worth the effort.